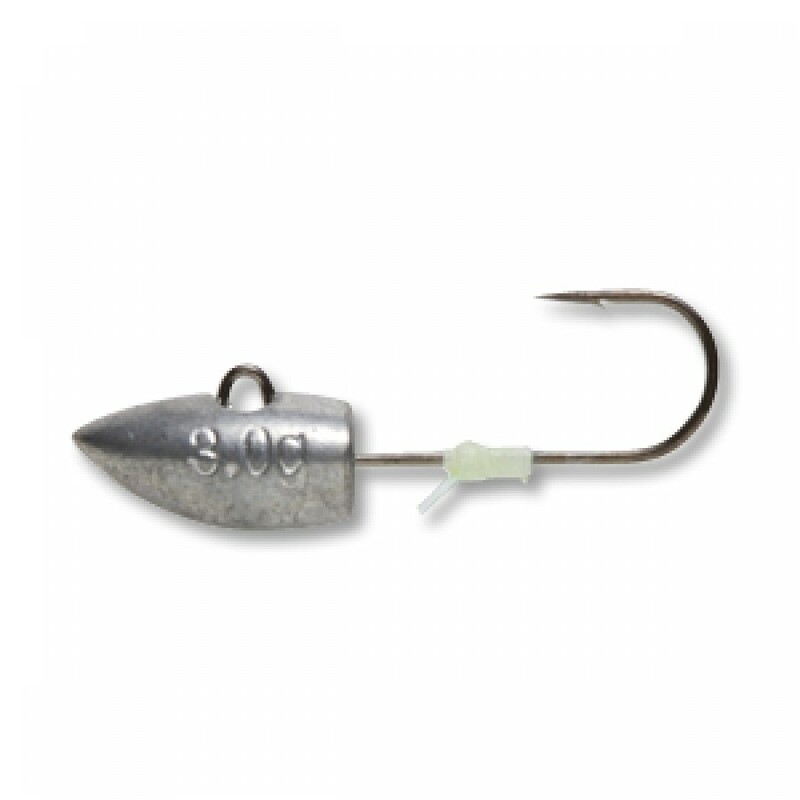 This jig-head is specifically designed to be used for light saltwater game. - Its shaped head is designed to help stabilise and balance the lure with its swimming motion. - It has a luminous “worm stop” above the head to keep your worm in place and also to shine through and act as a “strike point”. - Features the AW large easy to tie eye.